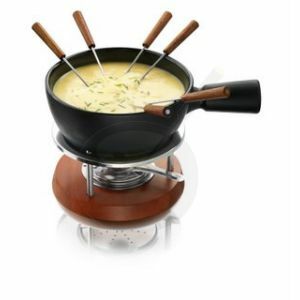 There is nothing quite like a nice cheese fondue: it guarantees a fun night with family and/or friends. 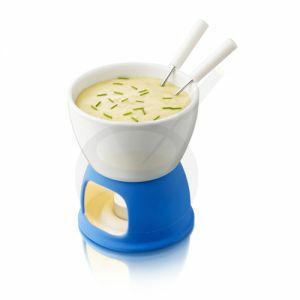 Plus, kids will really love it. 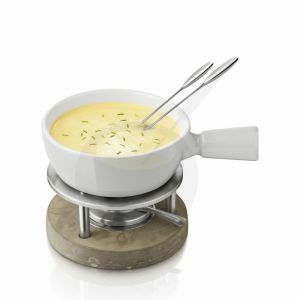 And of course, the most important thing, cheese fondue tastes absolutely brilliant. 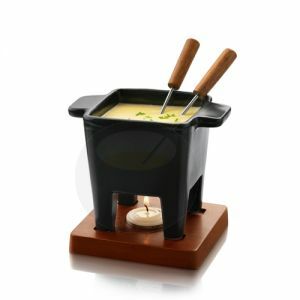 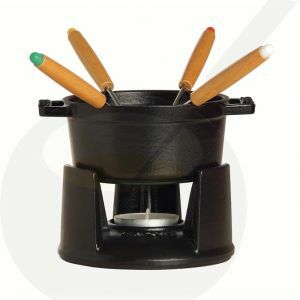 A beautiful slick cheese fondue set for delicious cheese fondue. 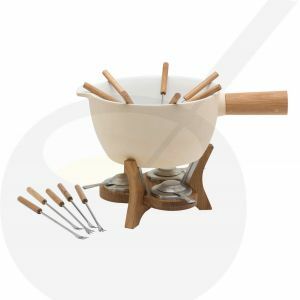 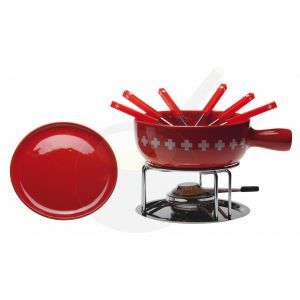 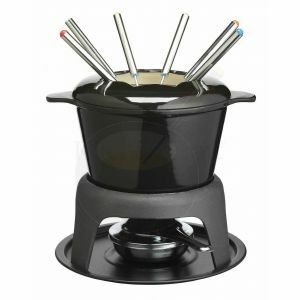 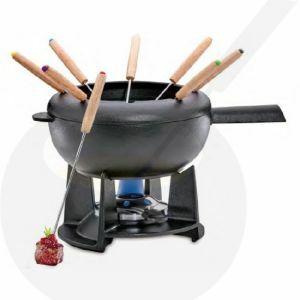 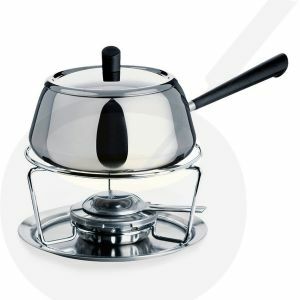 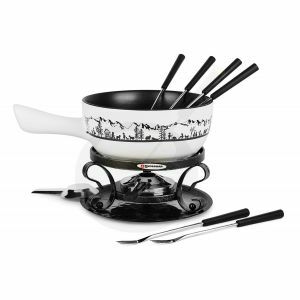 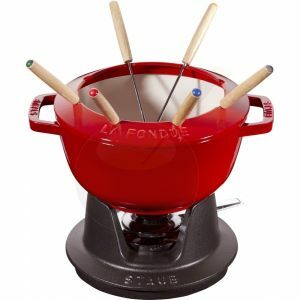 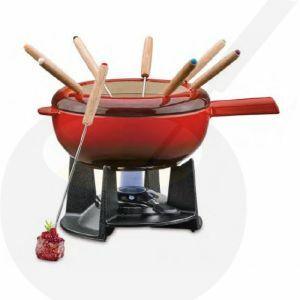 A beautiful high qualitatively fondue set Classic of the brand Spring. A Boska Holland beautiful Solid cheese fondue set life in the color Gery. Cheese fondue is a fun activity with family and friends and when you wish to serve cheese to your guests, want to serve quality cheeses, which are also suitable for raclette. 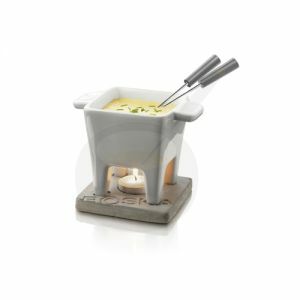 We offer a variety of raclette cheeses, such as Gruyère cheese, Comté cheese, Appenzeller Surchoix of extra quality, Emmentaler and combination packages of these cheeses. 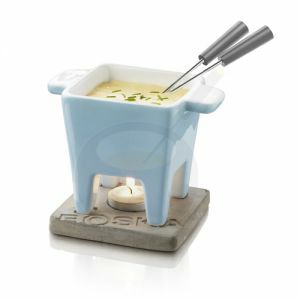 Quality is paramount for these cheeses and all of them are full and creamy in flavor and suitable for melting. All cheeses are available in sizes and portions of different weight, are always freshly cut and vacuum packed before being sent chilled to your desired destination. 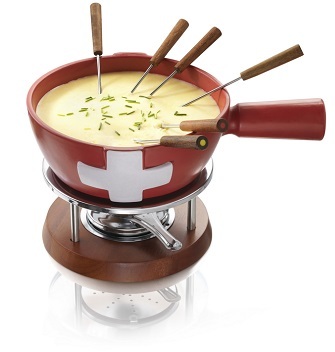 Cheese fondue according to authentic Swiss recipe is made with Gruyère cheese. 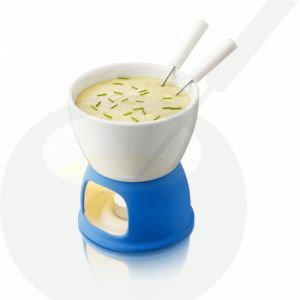 This has a somewhat sweet and nutty flavor. This cheese can be eaten in several ways, but is perfect to melt for example for raclette. The Comté cheese is family of the Gruyère and comes from the French Jura. A tasty cheese with a refined flavor. 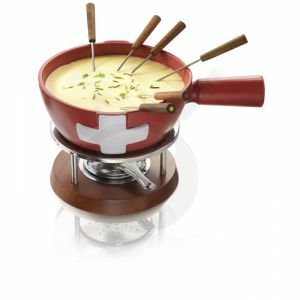 Emmentaler and Appenzeller are cheeses that can make you feel as if you are enjoying raclette in the Swiss Alps. 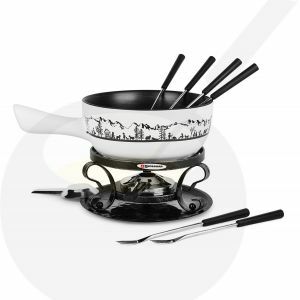 When you serve raclette with, for example, Appenzeller, the pithy taste, mixed with wine or cider, adds a delicious flavour to your dishes.